Compare the equation of a rational function to its graph. Multiply or divide the numerator and denominator by linear factors and explore how the graph changes in response. 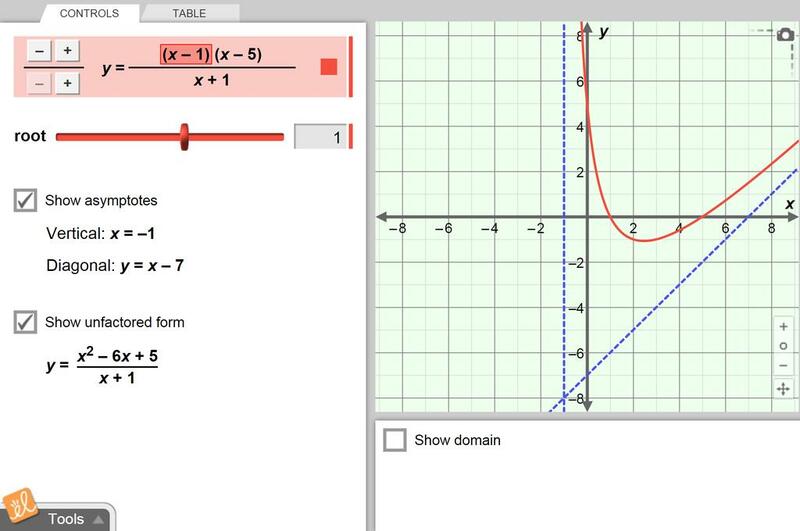 Students use the General Form of a Rational Function to connect the factors of a rational function to the... (more) x-intercepts, vertical asymptotes and holes. Students then put their knowledge into practice by assembling a puzzle matching a function's properties to its graphs and equation. This Gizmo shows the holes and asymptotes so much better than a graphing calculator.